My first day in Berlin, I wanted to find the East Side Gallery, a kilometer or so of what is left of the former Berlin Wall. It was March 17, 2013, St. Patrick’s Day, and David Hasselhoff was supposed to be here in a protest against the destruction of the Berlin Wall. A and I never made it though, we got lost in the S-Bahn, took the wrong train in the wrong tracks (or something like that). It was actually funny. 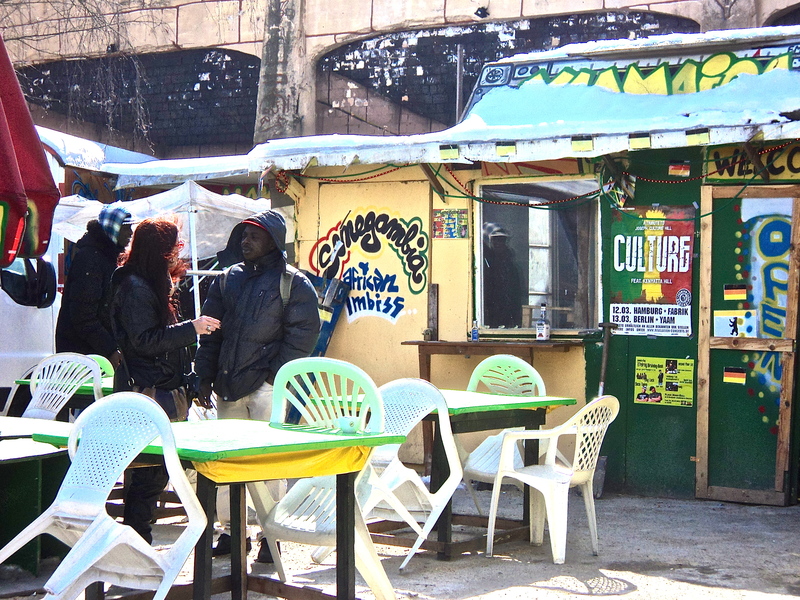 By the time we figured some stuff out, we were too tired and too cold, we just took hot apple cider in Alexanderplatz. I found the East Side Gallery on another day though, through directions given by another A. It was a powerful experience. I took the wrong exit in the S-Bahn at the Ostbahnhof, so it took me a while and a walk in a tunnel to find it. Eventually, I did find the East Side Gallery. I took the walk from the other side first. The graffiti on this side is more personal, it tells of stories, colors, words, and names. It is not as formal, as the one facing Ostbahnhof. From this vantage point, you can see where the conflict lies. Developers are creeping in on the former Berlin Wall. This piece of land may one day be luxury condominium units. It is highly possible that I may never experience this walk again, as it might take me a few years to get back to Berlin. 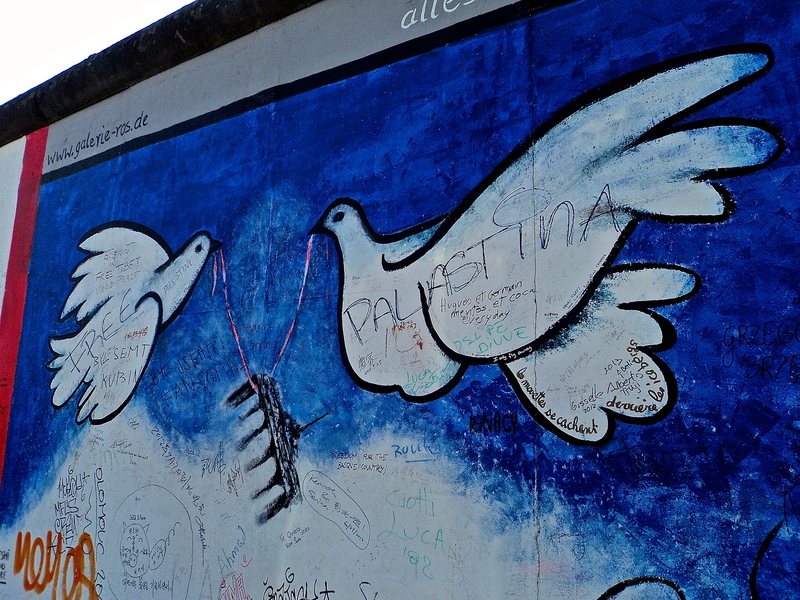 I kept on wondering how it felt to be divided by this wall, and how it reminds Berliners and every single one of us of the pains and lessons of a time past. There was still a protest going on, though I am not exactly sure what he is protesting. Is it to save the wall? Is it about this particular image? I don’t speak a word of German, though I wish I did. He is free to do this now. Even if we don’t exactly win what we fight for in this life, it is still a good feeling to have the freedom to protest and resist. 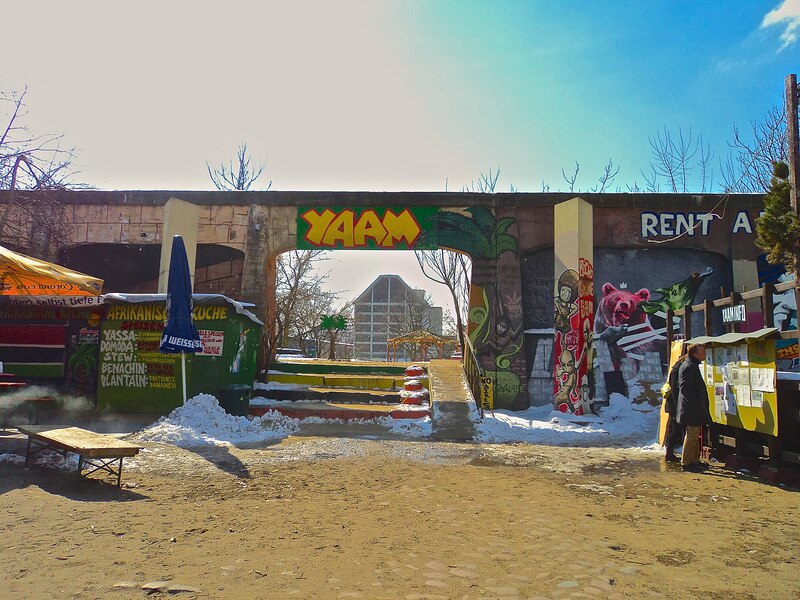 One thing that really surprised me in the early part of the walk is YAAM. I wasn’t exactly sure what it is. I googled it later and saw that this is an Afro-Carribean Artist Community and this is supposed to mimic a beach. Sand and snow isn’t exactly the easiest surface to walk on but it was fascinating. Most of the shops were closed and I just had breakfast anyway, but there were a few places that were open–and they were playing reggae music. Even back then I knew there was something here that reminded me of Bob Marley. There are a lot more photos I want to show of YAAM, but for now I’d say this–someone called to me, “Don’t fall pretty lady!” I really was having trouble walking in the sand+snow. I was afraid at first, but there were a few people and most of them are nice, and are smiling. And mostly just listening to reggae music. I just never really thought I would find this here. 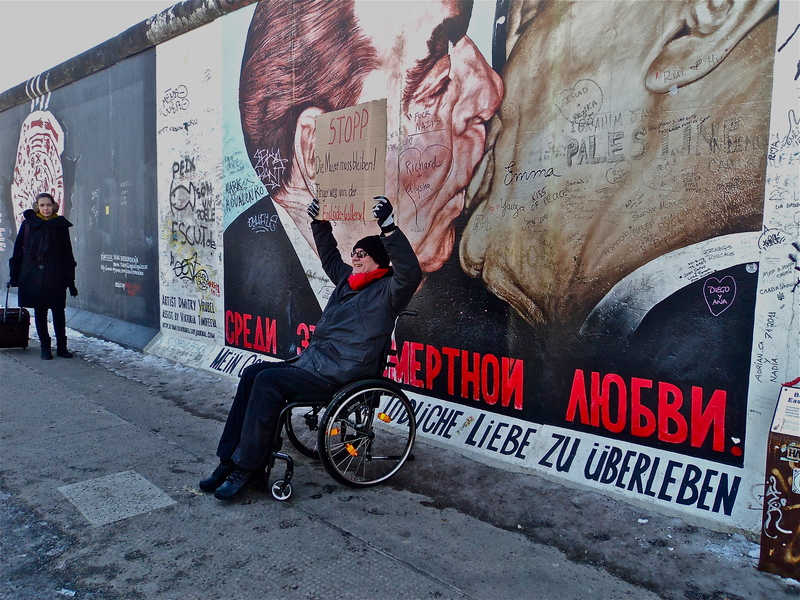 This is one of the really popular image of the East Side Gallery. I even saw it in my Lonely Planet Guide. There’s a lot of people trying to take their photo with the wall. But this day was so cold, my hands were shivering and I can barely hold my camera steady. Good thing I just took my handy digicam for this travel. Its small, light, and capable of capturing the details and colors of my experiences. It is the memory that I try my best to provide. I can say I have never had so much visual and color overload in my life. 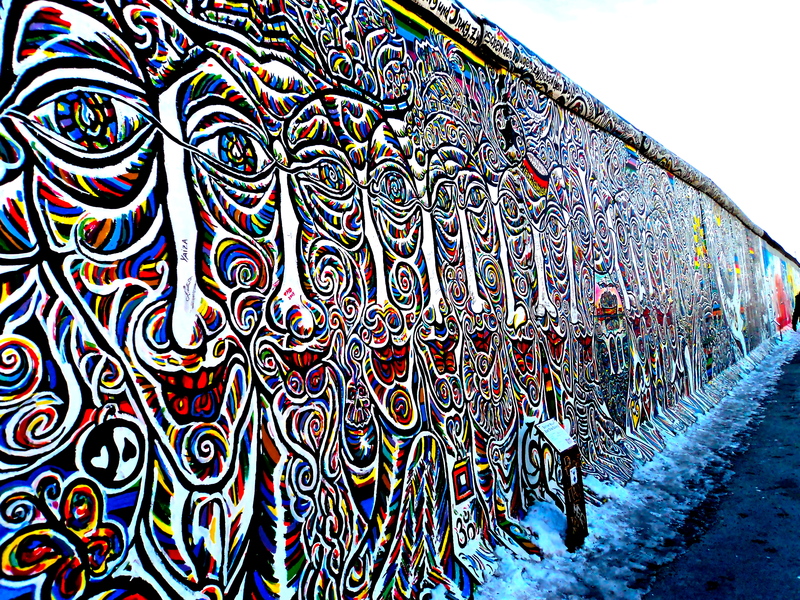 It was a kilometer of colors, art, stories, histories and emotions–on two sides of the wall. 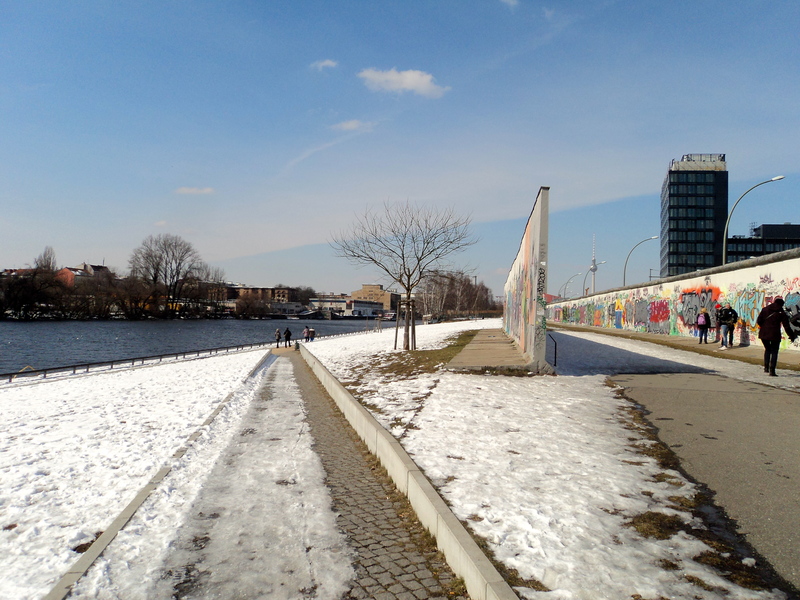 It would take several blog posts to cover the East Side Gallery alone. I know other people has taken a lot of photos of the wall, but I can’t help it, I don’t think I can leave these images behind. Given the knowledge that this wall may disappear before I can go back, I want to tell the stories as much as I can. I’ve only ever seen graffiti like these in photos, but it really looks three-dimensional. The nameplate on the car tells the story of ’89 too. And from the graffiti that added to the art, this is the wall that keeps on evolving with the times. Once it was used for repression, but now it is a space for artistic freedom. 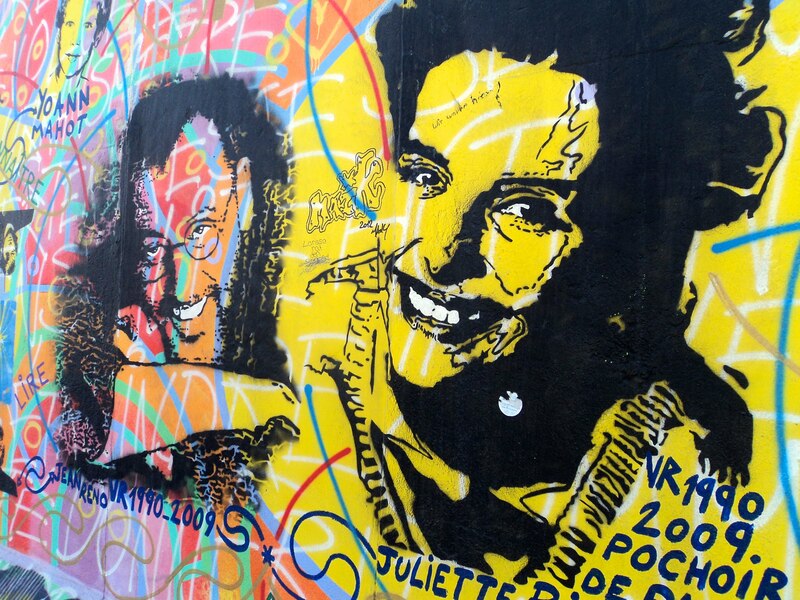 There were a lot of faces that can be found on the wall, and there were very few that I recognize. I only know the basics of German history and not much about their contemporary life. There were too many things that I don’t understand, but it is something that I still cannot help but appreciate. Who are these smiling people and what stories do they tell? Something about this image spoke to me. It is of two doves carrying away the Brandenburger Tor (Brandenburg Gate). It is quite moving. And as I’ve mentioned before, people tend to add their own graffiti, their own stories to the image. The largest letters here says “Free Palastina” and I’m wondering if it is about Palestine. I met Palestinians for the very first time at the Former West Congress. We’ve had good talks and I’ve learned of some of their struggles. It is not easy for them to leave the country and what they experience in airports can be ghastly. Their convictions are strong and impressive. I wonder if it would be possible for me to see Palestine one day, they did say it is possible, but I know it won’t be that easy. But maybe someday. One funny thing about the East Side Gallery is the souvenir shop. I wasn’t allowed to take photos inside. I don’t really have much shopping money for my travel as Europe is expensive. But I bought some parts of the Berlin Wall that was destroyed. Yes, they sell them. Yes, they say its authentic, but I have no real way of proving that. I wonder, when the time come that the entire East Side Gallery is destroyed, would they run out of the parts of the wall to sell? I learned about a week later when I was in Paris that they did take down part of the wall already and I was grateful that I was given a chance to see it before it was destroyed. A part of me wonders, will the memories be destroyed along with the wall? This is the side of the wall by the Spree River. I saw some people taking a boat trip, though I never got the chance to take one. 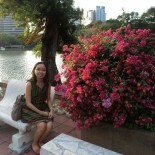 But in winter, I can hardly imagine being on the river, as walking along it is cold enough. Admittedly, I was also thinking of the expense, after all, this is on the first leg of my trip and I’m yet to see the season change. There were a lot of lives, deaths, histories, and stories along this wall. It is a marvel that I even got here to experience this. It may not be here the next time I am, sometimes, we just can’t stop change. Building may rise and the wall may be obliterated, I just hope that the memories wouldn’t. Sometimes, even pain should be remembered, so that the lessons learned would remain. But only time could ever really tell. I have more photos and stories of the wall, but it will take some time to make its appearance from my mind and my notes. This story is just a beginning of many beginnings. **edit: Also, its my blog’s 4th year anniversary. So, I took this time to blog about something incredibly special. 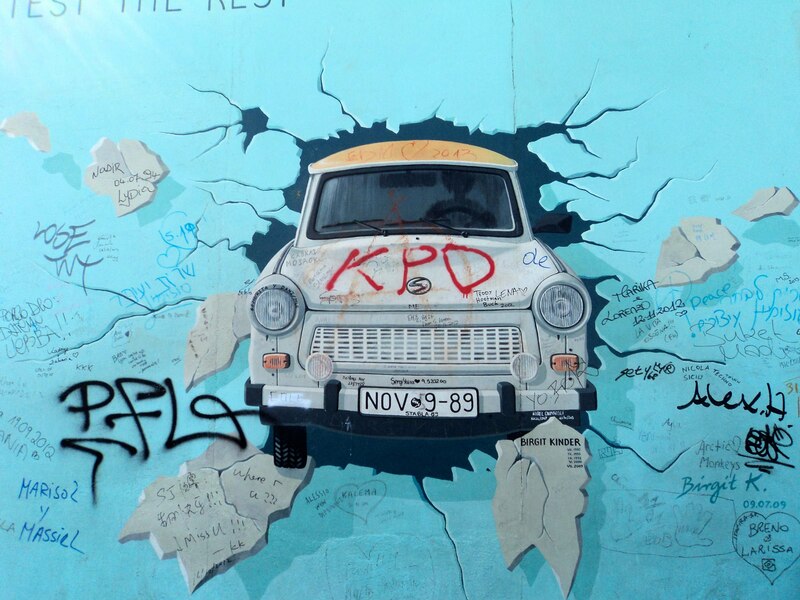 This entry was posted on June 30, 2013 by Portia Placino in Art History, Diary of a Grad student, Travel Writing and tagged art, Berlin, Berlin Wall, Brandenburg Gate, Brandenburger Tor, East Side Gallery, Germany, Graffiti, Street Art, Travel.